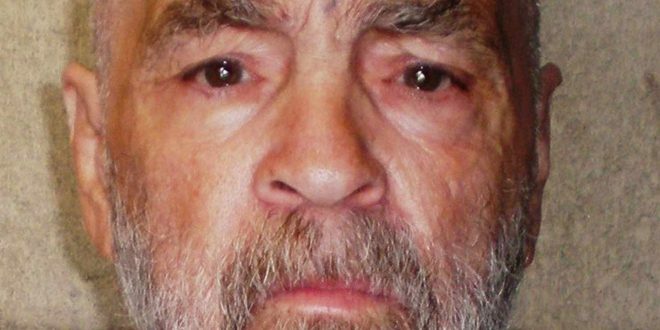 CHARLES Manson — one of America’s most notorious killers and cult leaders — has died at the age of 83. For 46 years, Manson served a life sentence in various California prisons. Most recently, he was kept in a protective housing unit at California State Prison, Corcoran, a part of the prison reserved for inmates who are understood to be unsafe in the general prison population. In 1971, Manson was convicted on seven counts of first degree murder and one count of conspiracy to commit a murder. He was initially sentenced to death, but when the death penalty was abolished in California the following year, his sentence was commuted to life. He was sentenced alongside three of his followers — Patricia Krenwinkel, Susan Atkins, and Leslie Van Houten. Each were members of the so-called “Manson Family,” which began when Manson began attracting followers in 1967. One other member of the Manson family, Charles “Tex” Watson, was also convicted of first degree murder later in the same year. Charles Milles Maddox (a.k.a. Charles Manson) was born in Cincinnati, Ohio in 1934, to Kathleen Maddox, who was 16 years old at the time. He had no relationship with his biological father, and his last name was changed to that of his stepfather, William Manson. By the age of thirteen, separated from his mother, who reportedly had no interest in raising him, Manson developed a reputation for petty crime. Supporting himself largely by theft, he spent his teen years stealing and running away from various juvenile centers. By 1951, he began what would become a lifelong pattern of continuously entering and exiting the prison system for an array of offenses, such as attempting to cash forged checks. At one point, he was also indicted for a violation of the Mann Act, an anti-pimping law, but the charge was eventually dropped. In March of 1967, Manson was released from prison. He was 32 and had spent more than half of his life behind bars. At the time, he was said to have asked to stay in prison because he did not believe he could adjust to the outside world. Shortly after his release, Manson began attracting followers. He was later described by some of them as an adept manipulator who was skilled at picking out people’s weaknesses and desires. As he continued to attract followers, forming the now-infamous “Manson Family” cult, the group moved to the Spahn Ranch, approximately 30 miles outside of Los Angeles. Manson and his group were said to have become fixated on celebrities, and reportedly intended to use celebrity deaths as a way to instigate a race war between white and black people. He believed the “Family” would ultimately benefit from such a war, and with such a notion in mind, the group attempted to act as a harbinger of the conflict. In the summer of 1969, at Manson’s behest, cult members enacted a series of brutal murders in the Los Angeles area. Among the most well-known victims was the actress Sharon Tate, who was married to Roman Polanski and was eight months pregnant at the time. She was murdered at her home, along with four of her friends. Polanski was out of town at the time. In 2012, Manson was denied parole for the twelfth time. All of the “Family” members are currently in prison, though in September, Van Houten was granted parole. Whether she will be released is up to California Governor Jerry Brown.